DJ Khaled was outdressed by his infant son Asahd who suited up and sported Gucci loafers at the AMAs. The 41-year-old rapper went casual chic in a maroon leather jacket and red trousers upon arrival for the American Music Awards on Sunday at the Microsoft Theater in Los Angeles. One-year-old Asahd however opted for more formal attire and looked sharp in a black suit and crisp white dress shirt sans tie. Asahd completed his ensemble with $275 black leather Gucci slip-on road driving loafers. 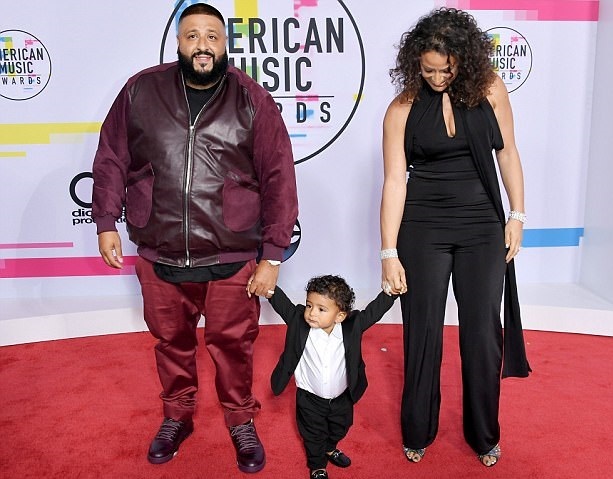 DJ Khaled, real name Khaled Mohamed Khaled, and his fiancee Nicole Tuck carried and held hands with Asahd on the red carpet. He won the award after beating out Humble by Kendrick Lamar and Black Beatles by Rae Sremmurd featuring Gucci Mane. 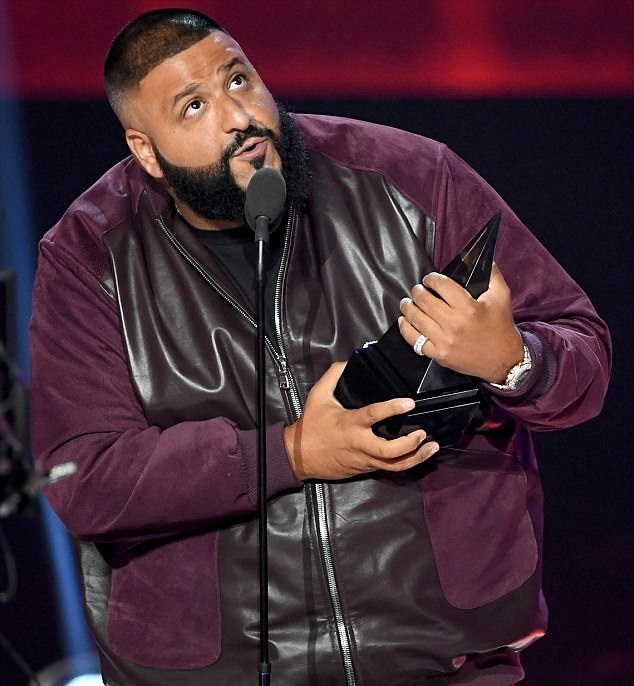 Khaled emotionally thanked Asahd during his acceptance speech and noted the toddler was his executive producer on his latest album Grateful.